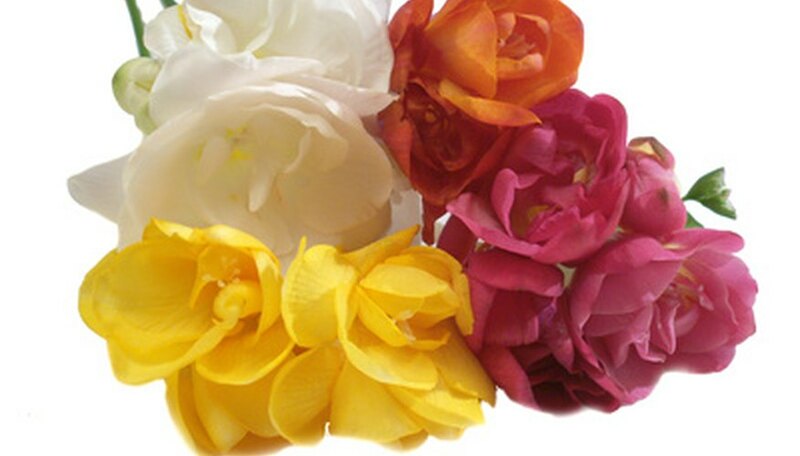 Freesia come in a rainbow of colors and emit a heavenly lemony scent. The scent used in perfumes and personal care items. Springing from bulb-like corms, these small flowers bloom consecutively along their stem and are zygomorphic--blooming only on one side. 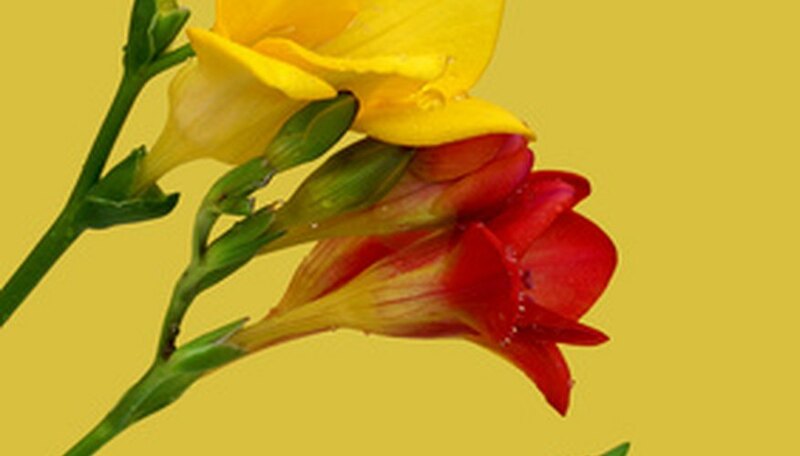 The majority of freesia are native to South Africa and are in the iris family. There are around 14 species and hundreds of hybrids. The plant was named by Dr. Friedrch Heinrich Theodor Freese, a German physician, in the late 1800s. The flower was wrongly classified in 1766 when the first two species were cultivated. Freesia lleichtinii were discovered in the Botanic Gardens at Padua in Italy and were introduced to the horticultural world. Since 1874 the plants have been cultivated and harvested around the world. Freesia need to grow where there is full sun and good drainage. Dig holes 2 inches deep and 3 inches apart. Plant the bulbs with the pointed head upward. Soak the area after planting. In Fall the plants will begin to emerge and will grow much of their foliage in the winter. Spring brings blooms, which are finished by May. The leaves need to be left until the end of the summer to allow the plant to gather energy for the following season, according to The Gardener's Network. The plants will clump together over time, so they should be dug up and separated every two to three years. 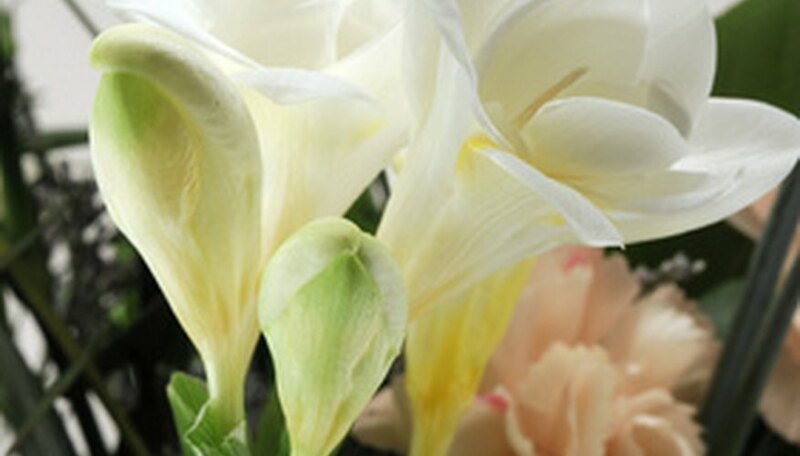 White or yellow freesia have the sweetest scent, while red and orange blooms have the more intense fragrance, according to online florist Telefora. Freesia stand on foot-tall stems with leaves that are sword-like and can be slightly crimped on the edges. The plants aren't terribly fussy and require no special care except occasional watering. 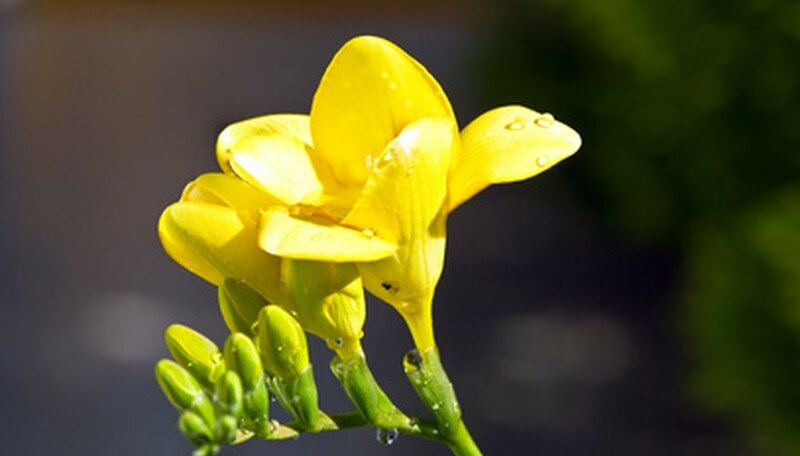 The freesia flower symbolizes innocence and friendship. It is also used to symbolize trust and, as such, is a popular wedding flower. Freesia's final meaning is faithfulness. Florists use it as the seventh anniversary flower for this reason, according to Telefora.. The most common freesia is 'Alba,' according to online resouce Plantz Africa. There are even some striped varieties introduced in 1977: 'Striped Sun,' 'Striped Pearl' and 'Striped Star.' 'Excelsior,' 'Golden Wave,' 'Allure' and 'Pink Westlind' are just a few of the hybrids grown in home gardens.